BlogHome Artscape News, RFPs, Spaces Time to apply for one of 80 new artist live/work units at Artscape Bayside Lofts! Artscape is thrilled to announce that we are now accepting applications for tenancy for 80 live/work studios at Artscape Bayside Lofts, developed in partnership of the City of Toronto, developer Hines-Tridel, Artscape and Waterfront Toronto. These stunning, brand new studios are located within the larger condominium development project led by Hines-Tridel, located at 30 Merchants’ Wharf between Lower Sherbourne and Parliament Streets. All 80 affordable residential studios at Artscape Bayside Lofts are offered as Affordable Housing exclusively for artists and artist-led families, and will be operated by Artscape through a long-term agreement with thanks to an agreement with the City of Toronto. 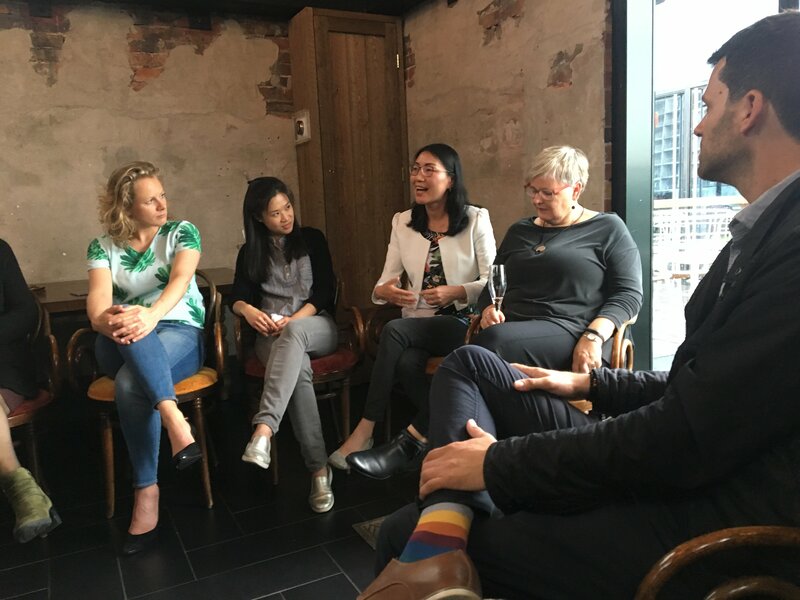 These units are a unique opportunity for artists to make their home near Toronto’s waterfront and be part of shaping the future of this growing and emerging community. This development will be part of an emerging neighbourhood that includes: George Brown College; OCADU, Remix; HXOUSE; Toronto’s new hub for creative entrepreneurs, Artscape Daniels Launchpad; and others–all housed within the Daniels Waterfront-City of the Arts building at 130 Queens Quay East. 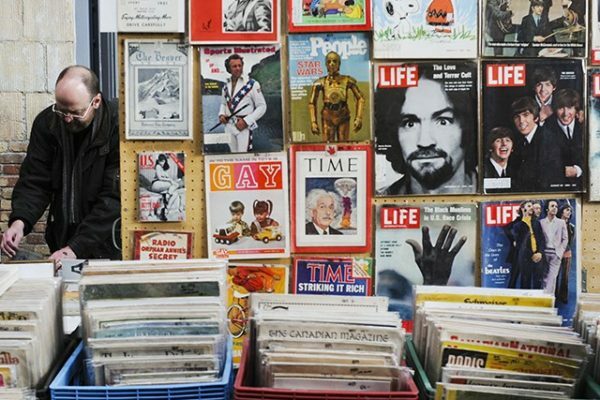 This community will provide artists with support and opportunities to collaborate, learn and network with other creatives. 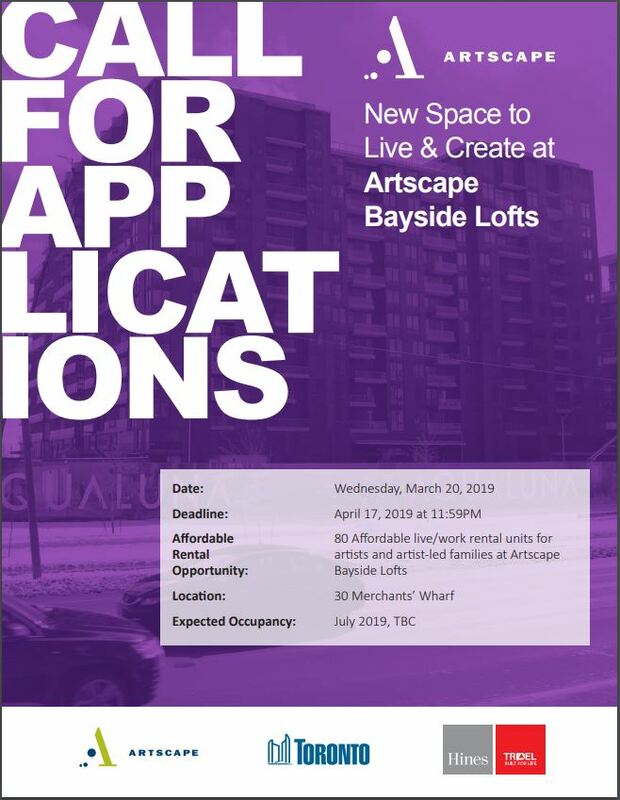 The call for Artscape Bayside Lofts tenant applications closes on April 17, 2019 at 11:59 p.m. Check out Artscape Bayside Lofts FAQ page for more information. For complete information on eligibility and application guidelines, click the image below!